Young people can change the world. That’s one of the core beliefs of City Year, a nationwide organization that recruits 17- to 24-year-olds from across the country to devote a year of their lives to volunteer service. 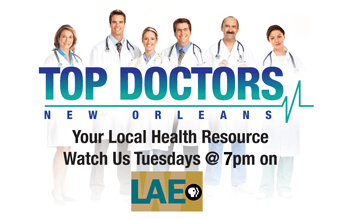 At 18 sites across the U.S., including New Orleans, volunteers tutor and serve as role models to elementary, middle school and high school students. In exchange for their service, “corps members,” as City Year calls its volunteers, receive a small stipend, assistance with educational expenses and an unforgettable experience. 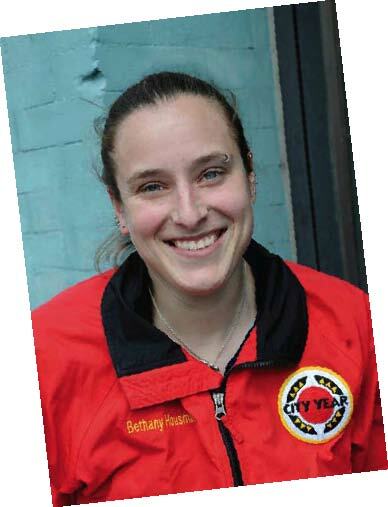 Bethany Housman, the program and service director for City Year Louisiana, spoke to New Orleans Living about the group’s work and how a year of service changes the volunteers. How long has City Year been in New Orleans? This is our fourth year here. We had been laying the groundwork for City Year to start in Baton Rouge. Then the hurricane came. Immediately afterwards, we had alumni from all across the country come and serve. Where do the volunteers, or corps members, come from? All over. We hope for a ratio of 50 percent from elsewhere and 50 percent from here, because we’re also creating young leaders to serve in their own communities. That is really the idea. This year, for example, we had a corps member serving in an elementary school that he graduated from. What attracts young people to City Year? I think what draws them is that it’s something very different. It’s exciting and new. You get to work with people from all across the country in a place where you may never have even been before. How do the corps members help the elementary school students? They will take a group of about five to eight students that really need help in English or math. They will either pull them out of the classroom and work with them one-on-one or they will keep them in the classroom and work side-by-side with them. And they work with them consistently throughout the year. What impact have the volunteers had on the students? Our goal is that 75 percent of the students we work with graduate to the next grade level and that 85 percent of the students we work with improve at least half a grade level by the end of the school year. Are you able to meet those goals? How many schools are you in? In New Orleans, we are in three schools. This year, though, the Recovery School District asked us to be in all their schools. We don’t have the capacity to do that now, but we’re hoping to add a school every year for at least another few years. What else do corps members do? We’re in the schools Monday through Thursday. On Friday we’re doing physical community service, such as rebuilding or painting homes. Or we are in training. We do training on professional skills, like interviewing, networking and résumé writing. Or we do training on diversity, how to work better with children, how to work in a team. The corps members learn a lot of skills. What is the Young Heroes program? We recruit middle-school youth from across the city. They come on Saturday for a service-learning curriculum. In the morning we focus on a social justice topic, such as poverty, violence, crime. And then in the afternoon we actually do a service project with the youth based on that topic. Do many corps members change their career plans after this year? A lot of them do. A lot of the corps members sign up for the program because they love working with kids. And they have no idea how very broken the public school system really is. Many decide to be teachers or work in nonprofits. Do they stay in the area? Last year 90 percent of our corps members stayed in Louisiana. A lot of them became teachers in the schools where we work. The next application deadline for corps members is April 15. For more information about City Year, visit www.cityyear.org.